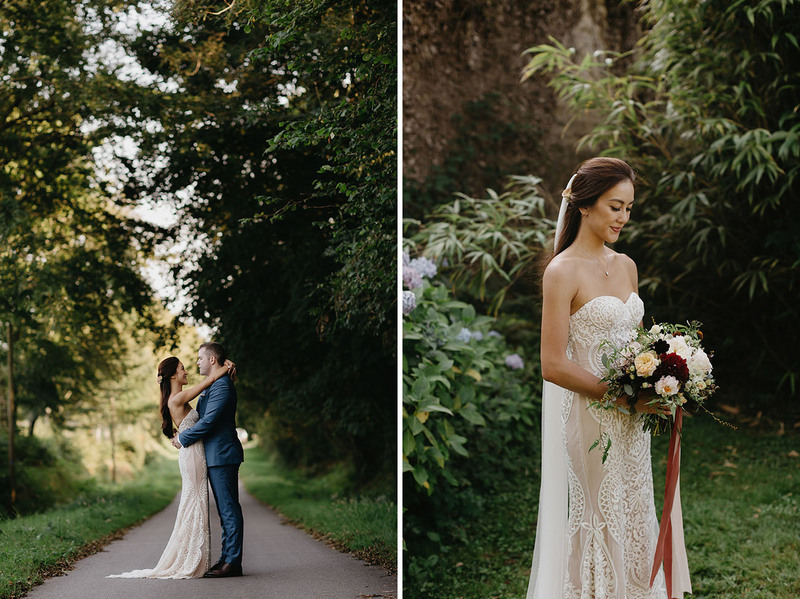 It was a truly intimate affair for Jess + Luke’s big day at a French château in the heart of Normandy. 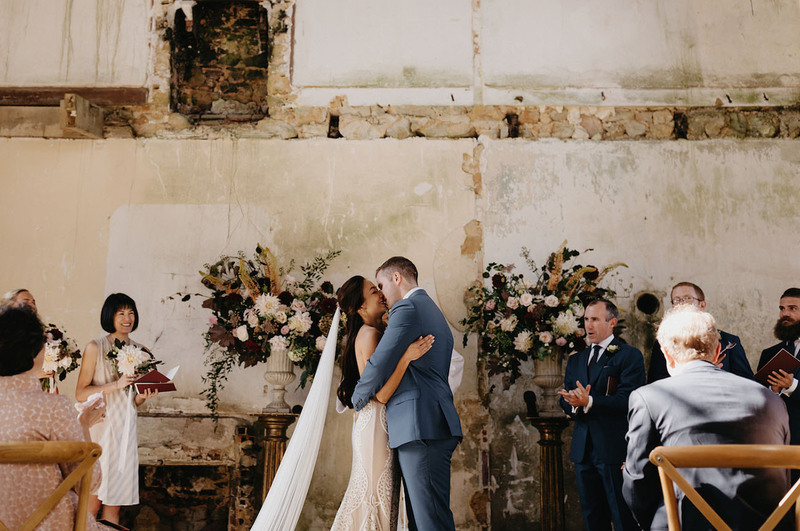 With 40 of their closest friends and family there to celebrate, the château served as the dreamiest venue for a wondrous long wedding weekend, with an exclusive homestay included (soooooo jealous!). 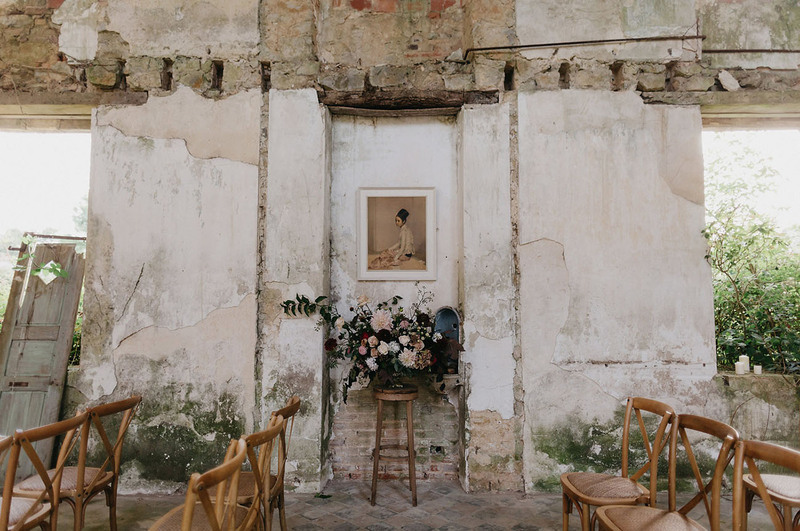 The day was brimming with lush florals that complemented the dilapidated and weathers-worn buildings. 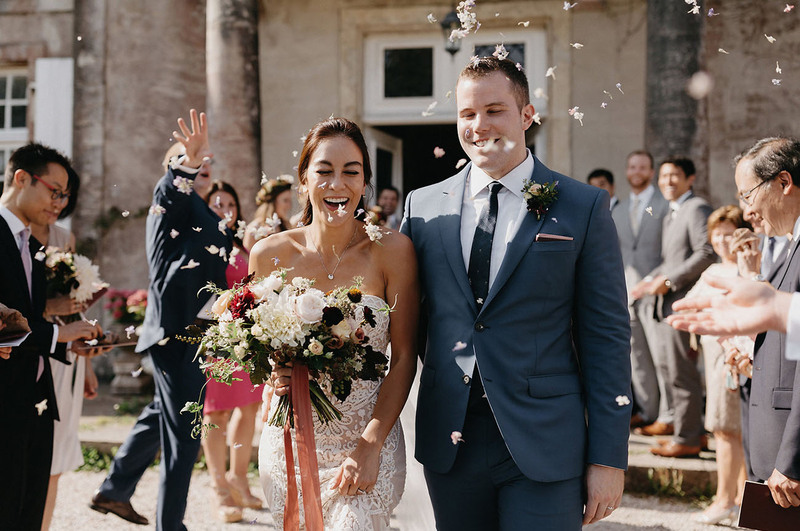 Jess shares a bit about how they planned the wedding from afar: When Luke and I got engaged, we excitedly started envisioning a big wedding near our home in New York, but everything changed when our beloved two year-old puppy was suddenly diagnosed with cancer. The experience of fighting for her, and ultimately losing her, taught us a lot about what family means, and cherishing what’s important in life. All we really wanted was an intimate week in a beautiful place where we could share great meals and real conversations with our loved ones (a weak WiFi signal was essential!). 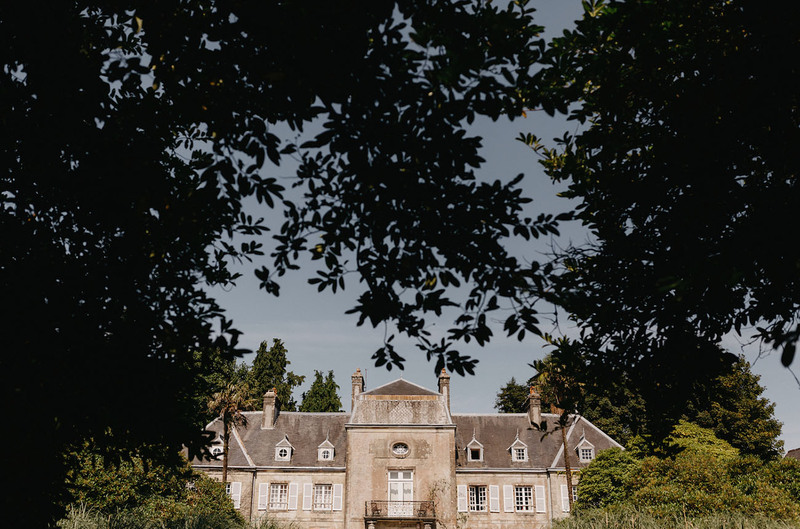 France is very special to both of us and the château’s rich history and relaxed vibe could not have been more perfect. 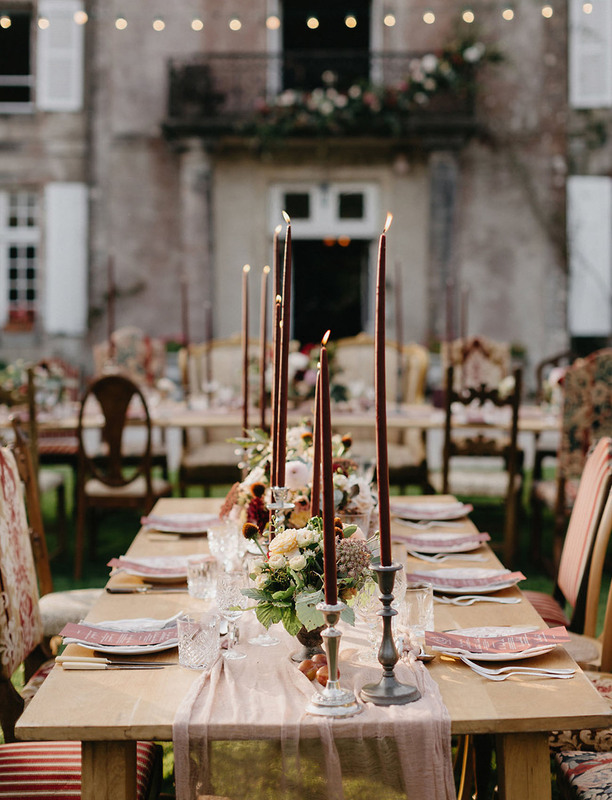 Planning a destination wedding from New York took a lot of emails, research, and phone calls in French, but I loved every step of the process. 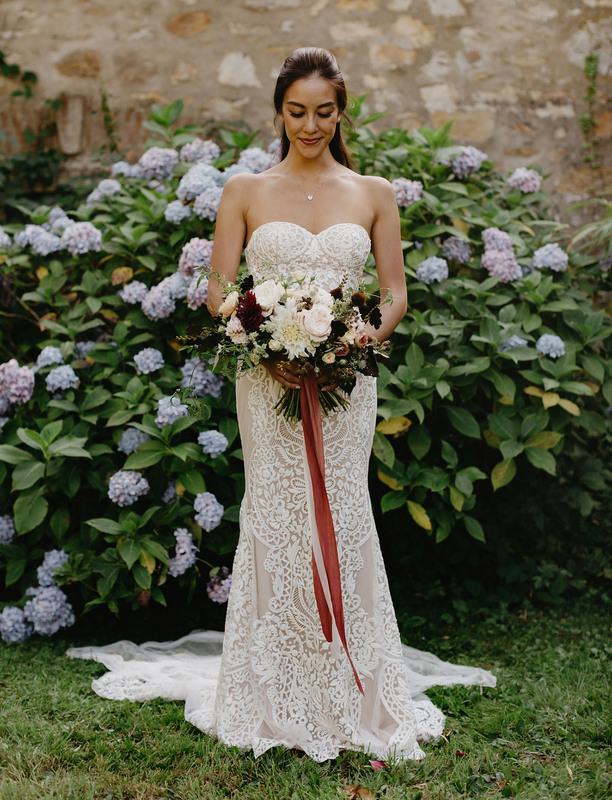 We were especially grateful to Susie from Knot & Pop for heroically stepping to coordinate the final details! 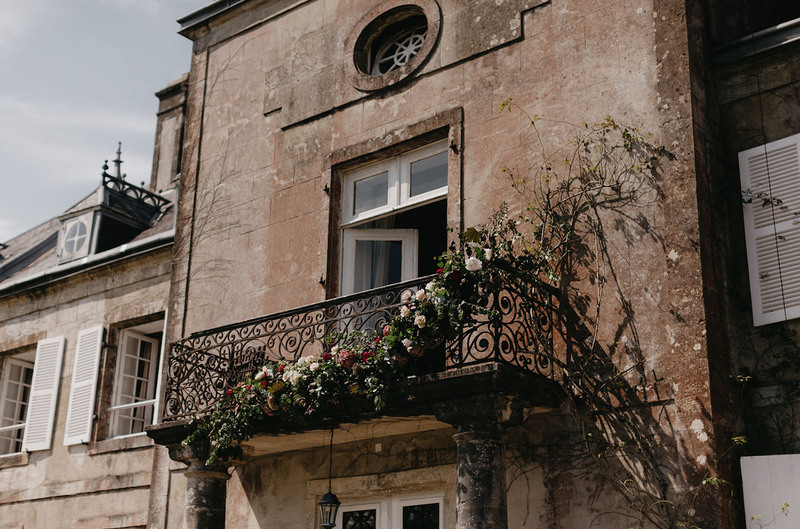 Ready to waltz around the French countryside + get a dose of major wanderlust? Let’s take a look at all the gorgeous details captured by Nirav Patel! 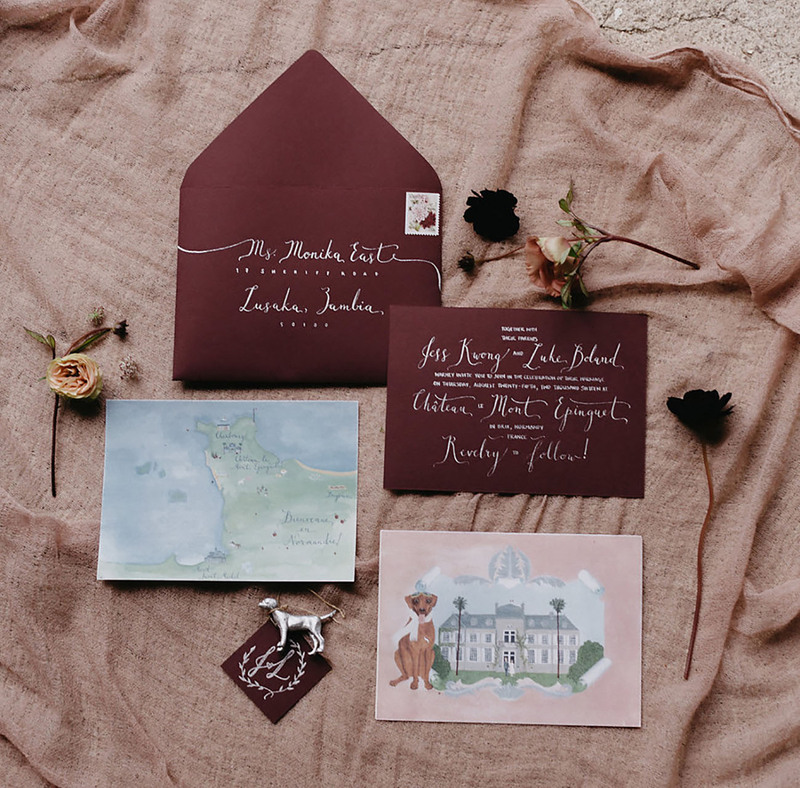 The bride, Jess Kwong, produced all of her wedding stationery – with beautiful illustrations for the invitation and calligraphy. She also crafted heartfelt welcome packs for each of the guests! Jess shares a little about what was included in each welcome bag: They were full of things we love, including Stick With Me chocolates, a burgundy turkish towel for picnics and chilly evenings, a bar of clary sage soap I’d made at Saipua, and a little jar of Norman sea salt sealed with our initials. The finishing touch was a book of recipes Luke and I had written for our guests. Luke is a sommelier and we love to cook together, so we shared some of our favorite dishes (complete with his expert wine pairings!). They were stamped with our monogram and we stitched each binding with silver twine. Luke and I took some time to ourselves at the stunning white cliffs of Étretat. Walking hand in hand along the cliffs at sun down, we reflected on everything that had brought us to that moment. It was so meaningful and gave us a chance to refocus on each other. My other favorite memory of the wedding day was something I didn't get to witness! That morning, we realized we'd forgotten to bake the wedding cake. Thankfully, Luke is a hero and he whipped up the most delicious, calvados-soaked buttermilk cake, decorated with flowers and foraged blackberries. 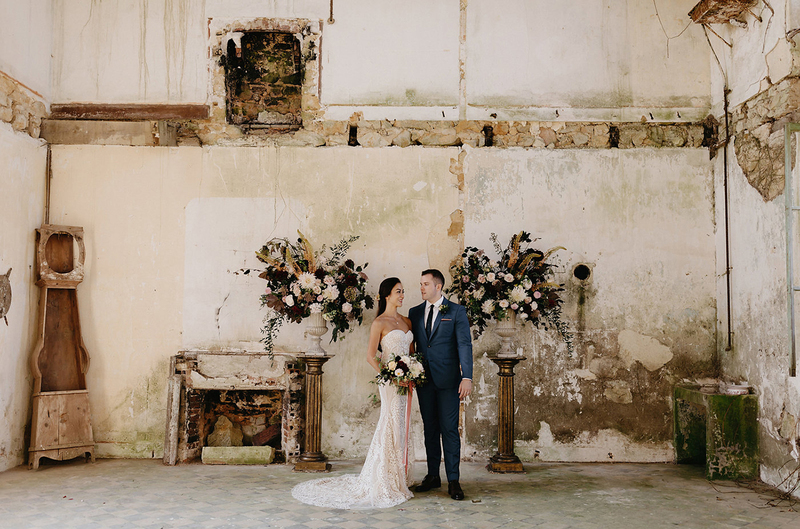 When he sent a bottle of champagne and warm scraps of cake up to the bridal suite, they were the best thing I'd ever tasted. 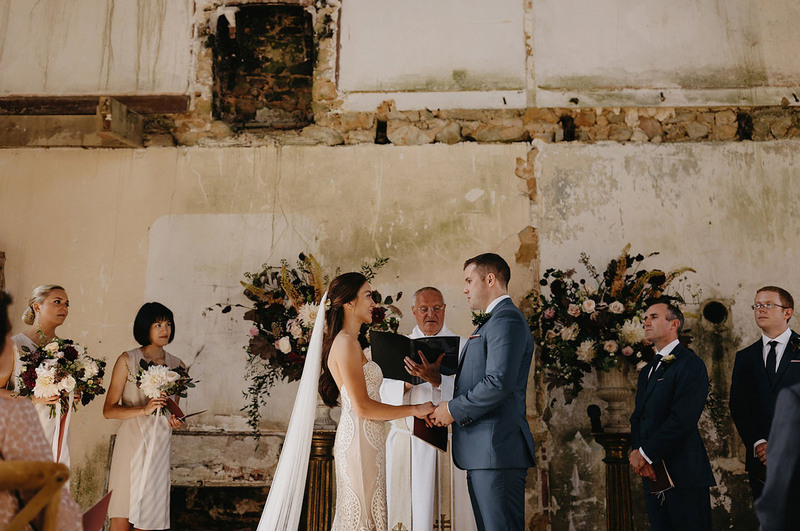 At the last minute, we decided to say our vows in the beautiful ruins on the château grounds. Wild blackberry curled in through the windows and the upper floors had long ago collapsed, leaving fireplaces floating in the middle of the walls. 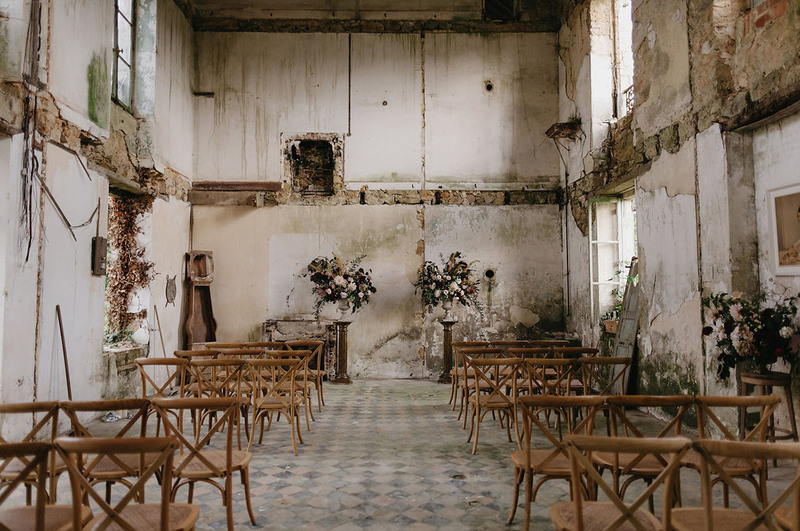 To us, it captured a truth that underpins a lot of weddings (and marriages): Time may lay waste to our plans, but it can also turn the wreckage into something uncanny. How absolutely exquisite is this?! 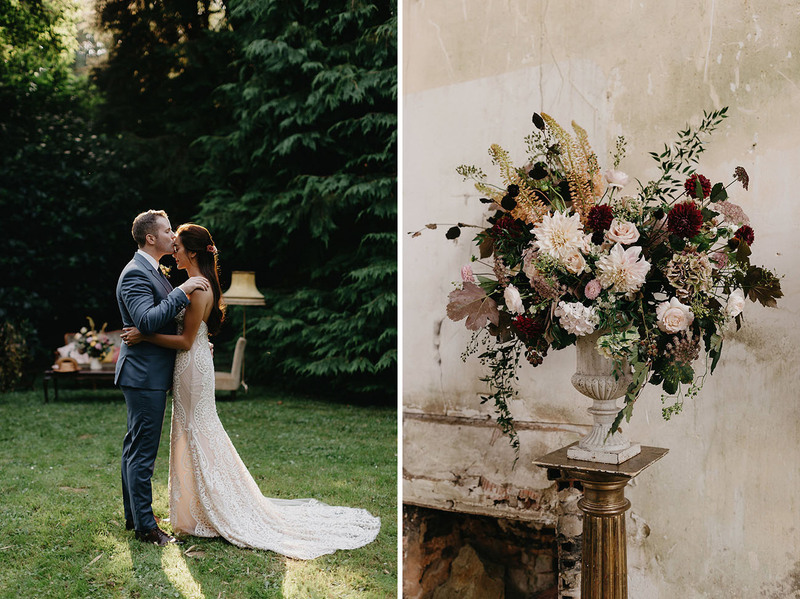 From the timeworn walls to the wild + lush bouquet… We’re only *slightly* in LOOOOVE. 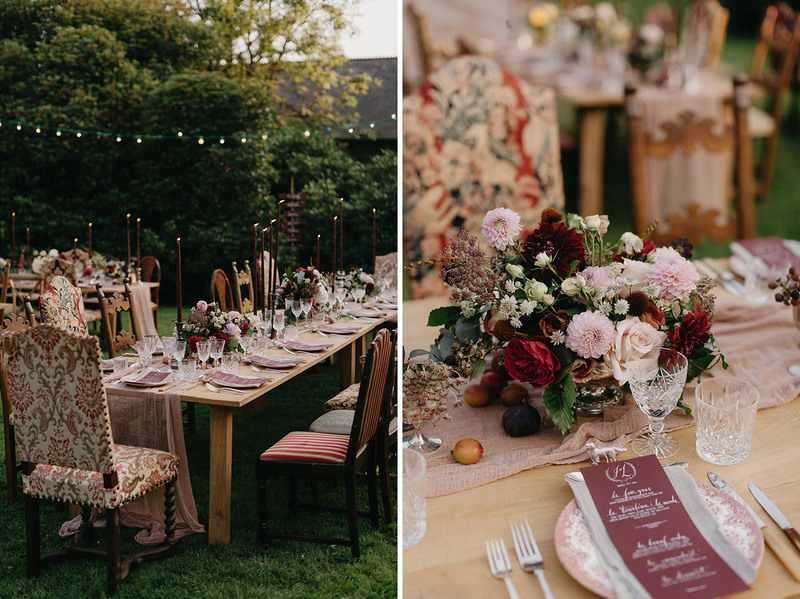 Everyone stayed on site for a week, so it felt like an epic, wedding-themed summer camp! Luke and I cooked dinners and our wonderful officiant (the chaplain from my college in Cambridge) made us all pancakes in the mornings. Our vendors tagged along on cider tastings and foraging missions, and by the end felt like part of our family. As for that stunning gown that Jess seriously rocked? It’s by Naeem Khan. 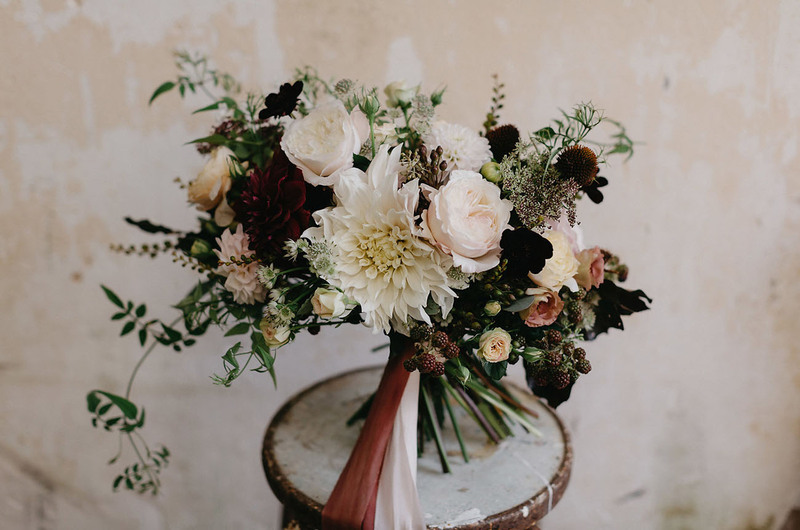 A floral feast, Swallows and Damsons made the most sumptuous arrangements – from bouquets, to urn arrangements, balcony swags, table flowers and more. 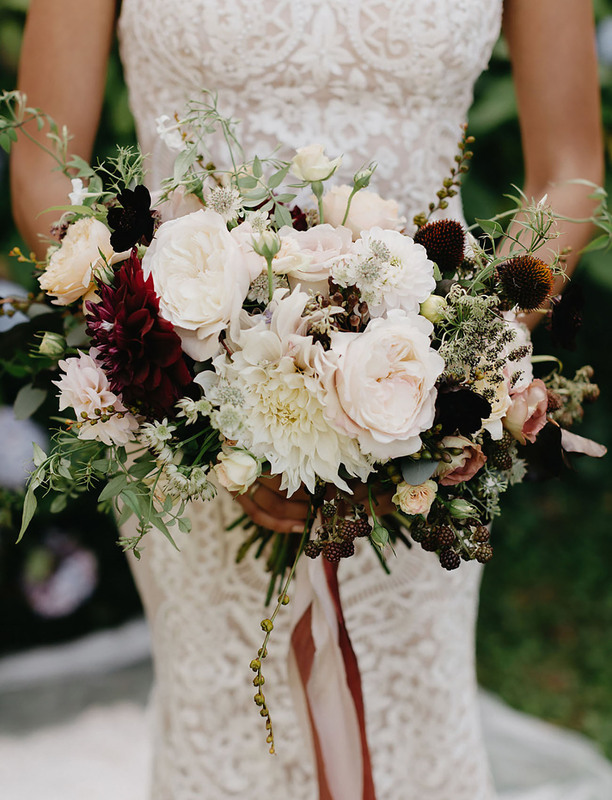 The palette was brought to life across the flowers with rich tones of deep red, blush pinks, ivory, fresh white with pockets of berries nestled within. 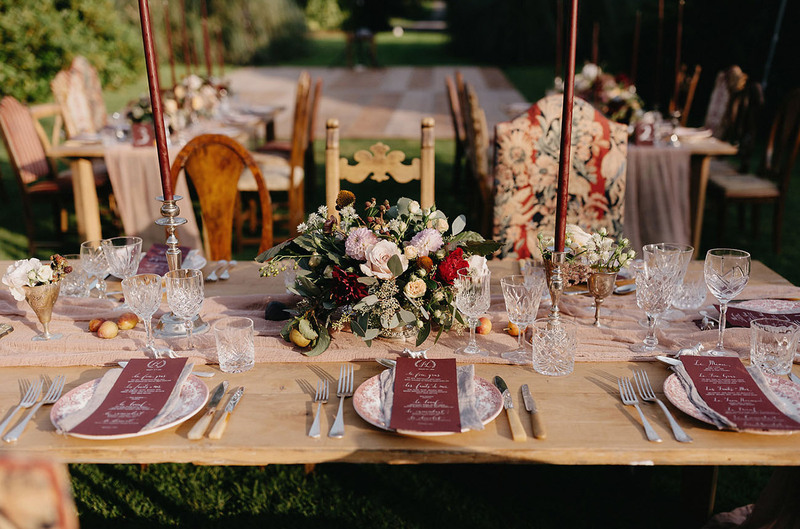 Planning a destination wedding from abroad can be daunting, so give yourself plenty of time to plan and save up. 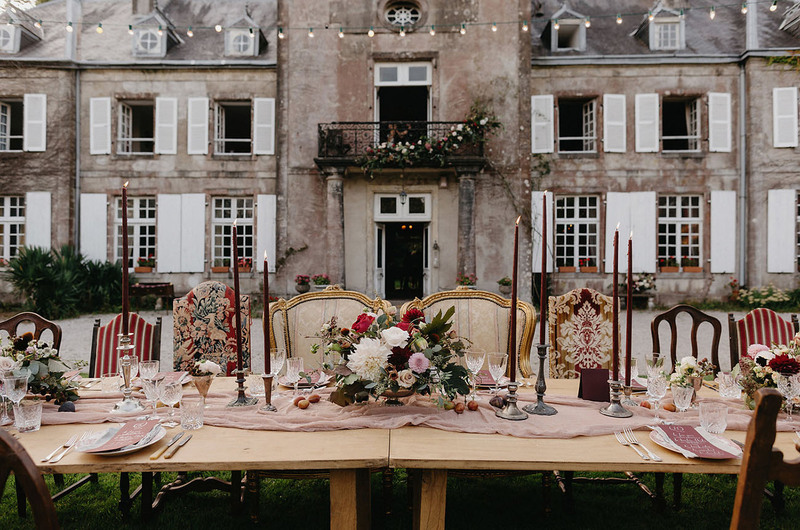 Vendors in other countries may operate in a completely different way than you might be used to — things tend to slow down in France during the summers, so we had to be patient. Also, don't try to do everything! You might be a DIY-queen but you can't be in five places at once. Trust your vendors, accept help from friends, and remember that if anything goes awry, you have the most forgiving audience in the world! We wanted our puppy to be there in spirit as much as possible. 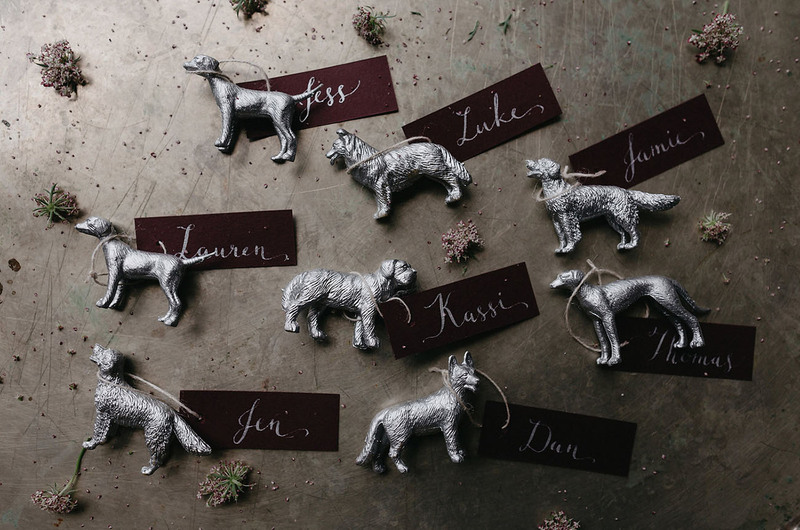 Her collar tag was my “something blue” and the hand-painted silver dogs that served as our place cards were a symbol of love and loyalty. 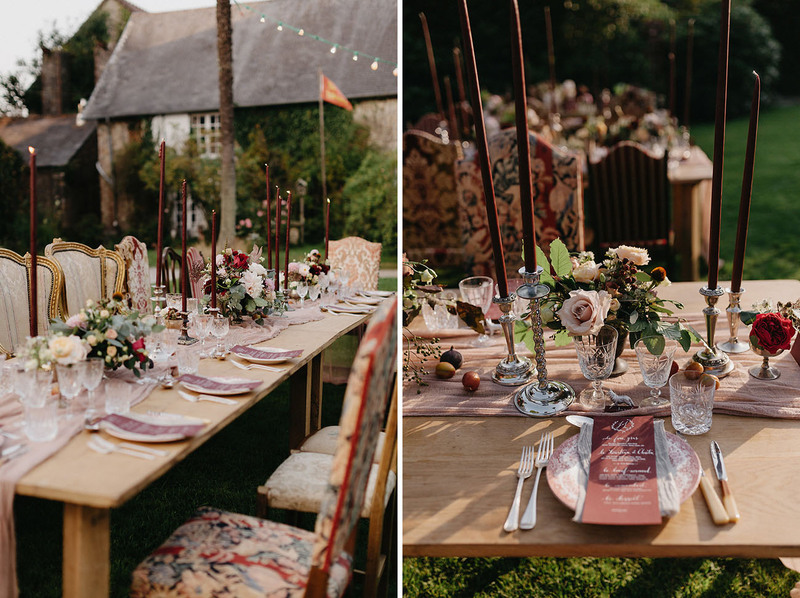 The outdoor tablescape brought together rustic wooden tables with eclectic furniture, vintage French plates, cut glassware, and all those amazing florals, for a textured and magical feast. 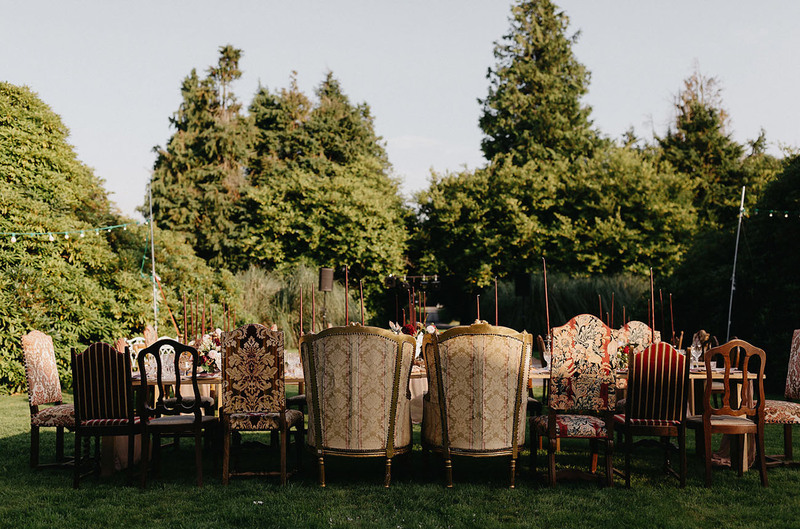 Lounge stylings were curated by Knot & Pop from the pick of the venue furniture – treasure upon treasure was found. 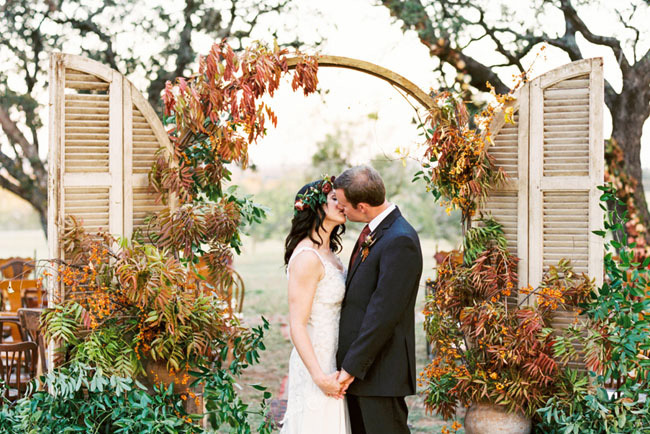 Oh, how we’d love to be in France right about now… Félicitations, Jess + Luke!! Want to dive a bit deeper into the day? Check out this vid by Produzioni Evergreen! My eyes are popping out of my head. Everything is so insanely gorgeous!